Mike, sorry I missed this thread when you first posted it. I seen it on "Thread of the week" and love it. And, when it was still in service I was in my teen's and living in New York City. I would go salt water fishing in Jamaica Bay by Kennedy Airport. And I would watch the Concord land and take off. What a sight it was to see. MikeC99 , your stamps remind me of when the Concord first landed in Honolulu on an around-the-world flight. I and hundreds of others stood seaside at Waterfront Park to watch it slowly traverse in front of us before it circled around and landed. I made a cachet cover of the event. I have to see if I can find one. Since technically I live in Filton (albeit only by about 10 metres!) I suppose I'd better contribute. 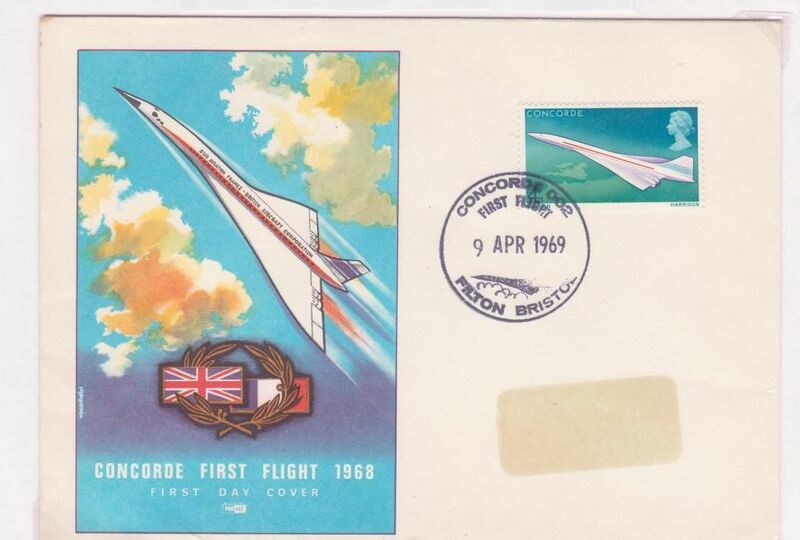 Here is the FDC of the Concorde stamps cancelled at Filton itself. 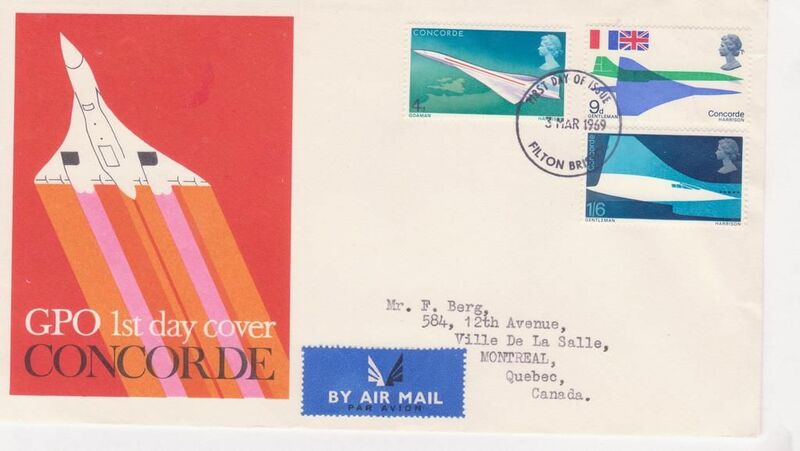 And here is the First Flight cover of Concorde 002 i.e. the British model. The French model 001 had flown 5 weeks earlier on March 2nd. 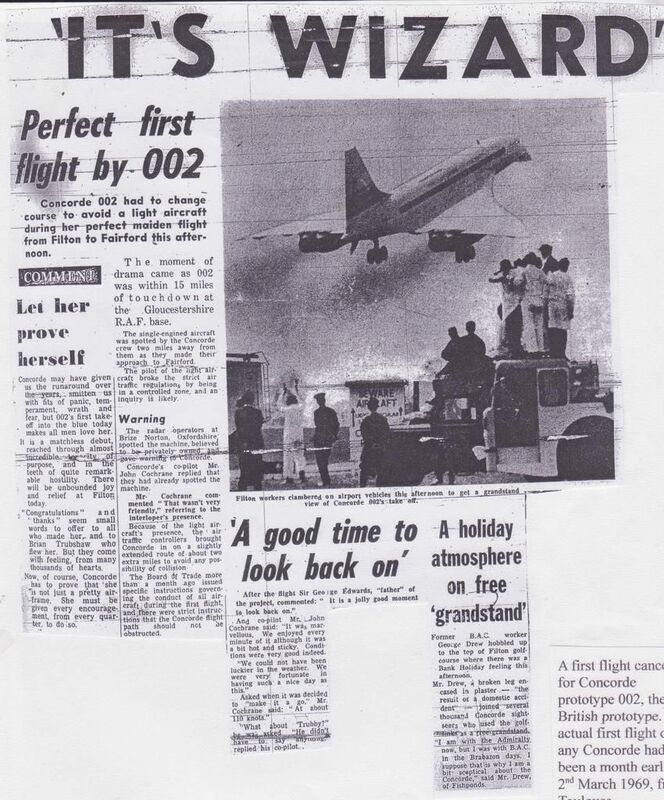 Note that the manufacturer of the cover was foolish enough to believe that it would actually be ready in 1968! But not so foolish as to waste the printing he had already paid for. Here's the cover. I only made a few, and they went fast (pardon the pun). This is cover #1, numbered on the back, and with my red "Miyamoto" ideograph rubber stamp on the cachet. 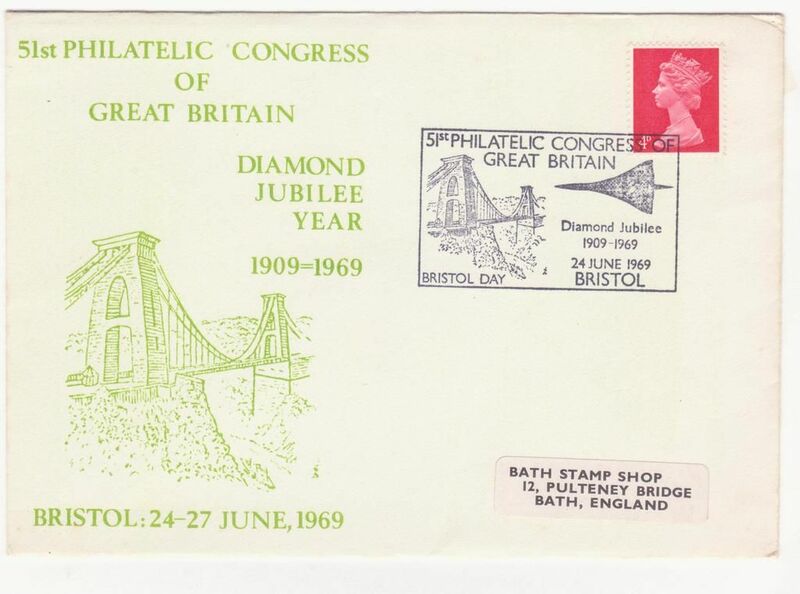 By the way, I'm nominating that Filton 002 First Flight Special Handstamp for the Worst Piece Of Design Ever Allowed Out On Its Own Prize. Or possibly the Turner Prize.